PizzaME is about fresh ingredients, lovingly put together. Set up by three Italian friends, we want to share with you not only our love of food, but the way that it is eaten in ltaly. Our idea is to bring you traditional Italian ingredients and offer them with a modern twist, bringing the Italian takeaway up to date. Have it whole or by the slice. Just try it....take a PizzaME. Tomato, mozzarella, black olives, capers & anchovies. Tomato, mozzarella, spicy Italian cured sausage, butternut squash & dollops of gorgonzola. Tomato, mozzarella, fresh ricotta cheese, sun-dried tomatoes, rocket & "smoked ham" speck. Tomato, mozzarella, gorgonzola cheese, caramelised onion & butchers sausage. Tomato, mozzarella, caramelised onion, black olives & smoked tuna. Tomato, mozzarella, mascarpone cheese, pork & wild boar salami, spicy Italian cured sausage & caramelised onion. Tomato, mozzarella, fresh ricotta, black pepper, sundried tomatoes, black olives, pork & wild boar salame. 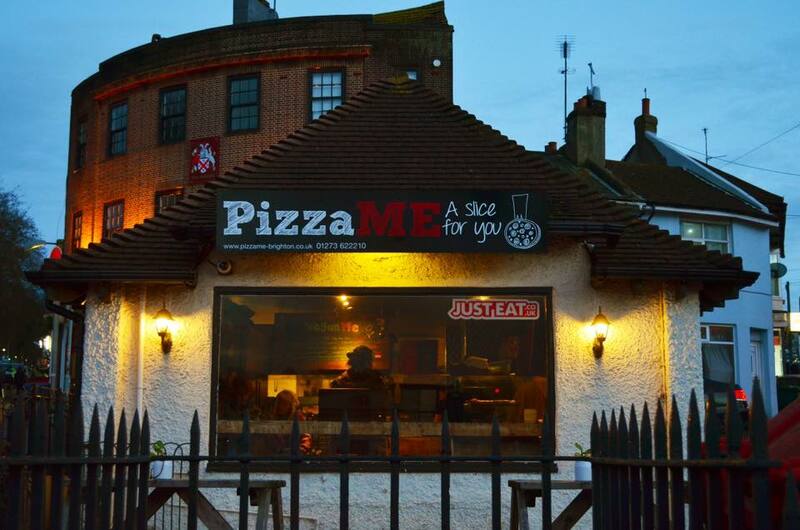 Choose from all our toppings to create your own PizzaMe!